I used a small saw machine for cutting the hole. I’ll never do that one again! 22nd February 2014 – I spent most of the day doing smaller jobs, welding a few supports, bolting some wood and cleaning the hold. It was time to do something, I barely find back any hammer at the moment. 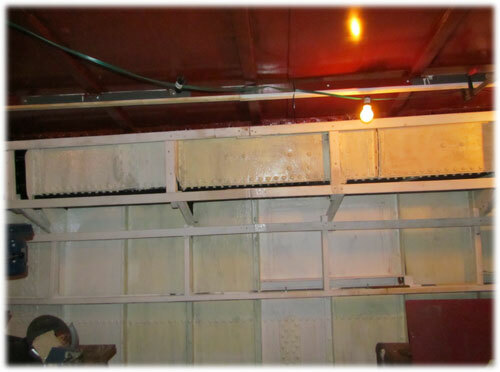 15th February 2014 – We welded a little more into the new generator room. At the end of the evening, we lifted the generator and slided it into the compartment. 4th February 2014 – Just cutting wood and drilling holes. THis will continue for a while…..
3rd February 2014 – Just like the last two days, I’ve been drilling holes and bolting wood. I start to notice a difference. One side is now nearly finished, and I’m running out of wood. At the end of the day, I cleaned the wheelhouse, making it a bit more comfortable to live. 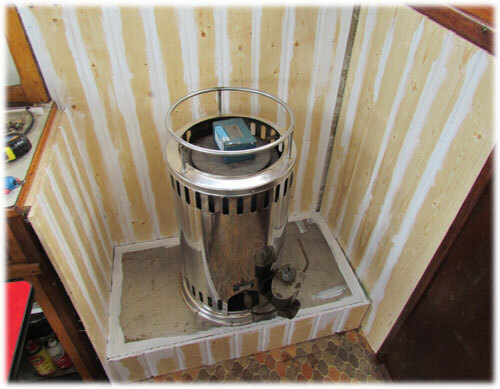 2nd February 2014 – Another day of drilling holes, cutting wood and painting metal. Aquarel – What insulation to use? 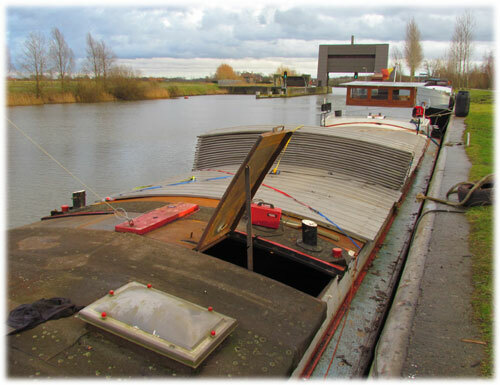 1st February 2014 – The idea is to use foam as insulation for the ship. But I doubt, I might still go for the traditional insulation. Since I don’t know it yet, I’m making my frame work like on the Hornblower. Wide enough for putting insulation, but also solid enough to hold the foam and to screw sheets of multiplex on it afterwards. 29th January 2014 – Since the floor is nearly finished I can start thinking about framing the hold. This looks easy, but it needs a lot of planning. I want to keep the maximum of space, but I need to have ten centimeters between the framework and the metal for spraying insulation foam. At the end of the evening, I managed to build a sample of the frame for the den. To clear my mind, I painted some more of the metal in the hold…. 25th January 2014 – In the early morning, I started welding the remaining frames for the floor. 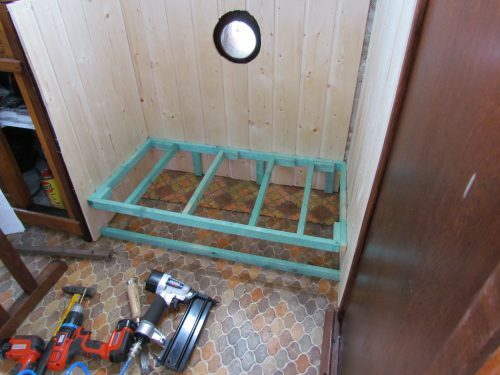 Once finished, the whole framework was painted and the wood bolted to it. By the end of the day the floor was nearly ready. It is so much nicer to walk on a decent floor then to step from one rib to the other…. 24th January 2014 – I had some time off at work and decided to finish the floor in the hold. This will make it easier for building the inner roof and to paint the hold decently. 14th January 2014 – The first day I’m working again aboard the Aquarel. My grinder felt into several pieces, this was the end of continuing on my floor. 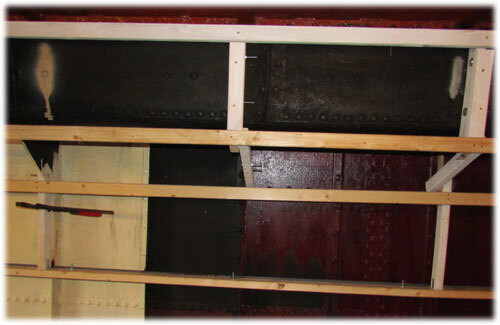 Since I was there, I decided to clean the hold and to finish the woodwork around the diesel heather. 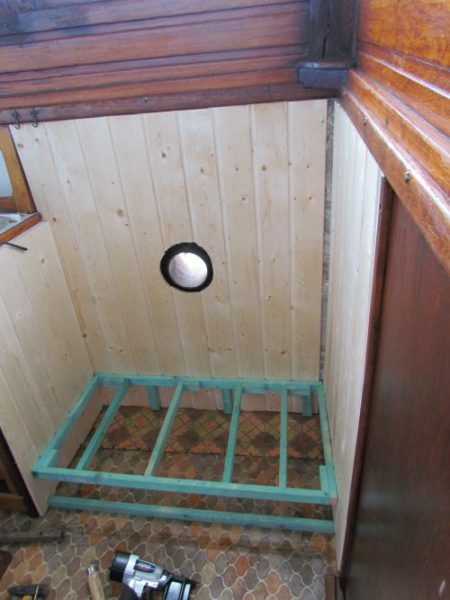 4th January 2014 – In the morning, I started cleaning some of the bilges. One square meter gave me two buckets of grease and rust. Everywhere I see a bolt, it is the moment to weld it. Saves me trouble later! 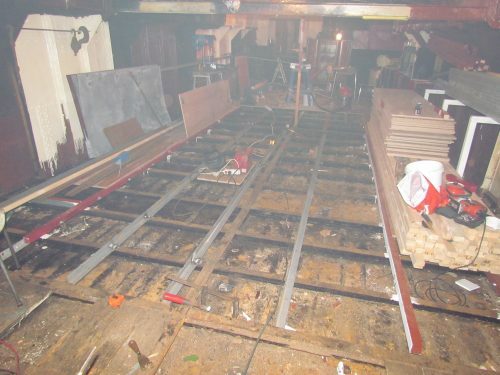 I keep saying: it is a shame and a big stupidity to drill holes through her original hull and put bolts into her wooden floor from underneath! 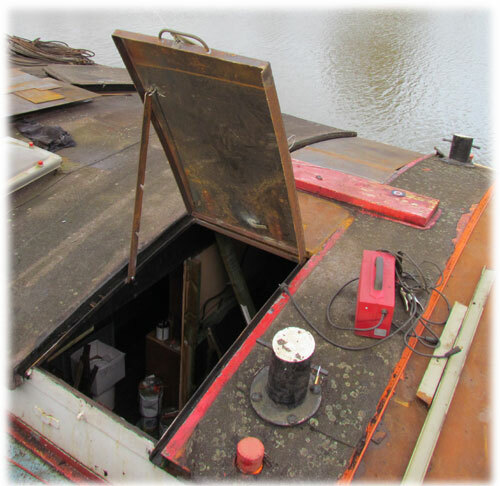 Later that day I finished my entrance hatch and in the evening I worked on the wheelhouse, starting to make the corner where the diesel heather will come. I have to raise the heather a little bit since her exhaust doesn’t come to the hole at the back of the wheelhouse. The heatpol heather has a long history. I bought it for the Hornblower when I was in Holland. I bought it back from the new owners of the Hornblower and installed it now aboard the Aquarel. Besides heating the room, you can also use it for cooking.